What is a ha file and how do I open a ha file? An HA compressed archive file may contain one file or a group of files integrated with HA compression specifications and saved in encoding standards as an HA file. These HA files may also contain a compressed folder or a group of folders that can be decompressed using file compression and decompression tools implemented with support for the HA compression algorithm. The actual size of an uncompressed file or an uncompressed folder stored in an HA file is bigger than the size of the HA file containing it. This is because the HA compression algorithm implement better compression ratios than other compression formats. The HA compression algorithm was developed for quicker and easier distribution of digital documents and software packages via the Internet or DVDs, CDs and other portable external data storage devices. The WinRAR file compression and decompression software is an example of an application with built-in compression and decompression support for these HA files and the HA compression algorithm. 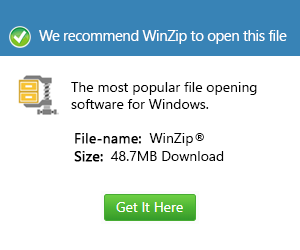 This means users of Microsoft Windows-based computers can install and use the WinRAR program to start compressing their files and folders in the HA format, or to open and access the content of these HA files.